Contemporary architecture set amidst 15 acres of serene, natural landscape. This stunningly crisp, white clapboard residence was designed to evoke a New England farm house, while the extraordinary contemporary interior is a soothing palette of whites and grays. Walls of windows flood the space with light and dramatic views. The kitchen offers stainless steel appointments, large island and French doors. 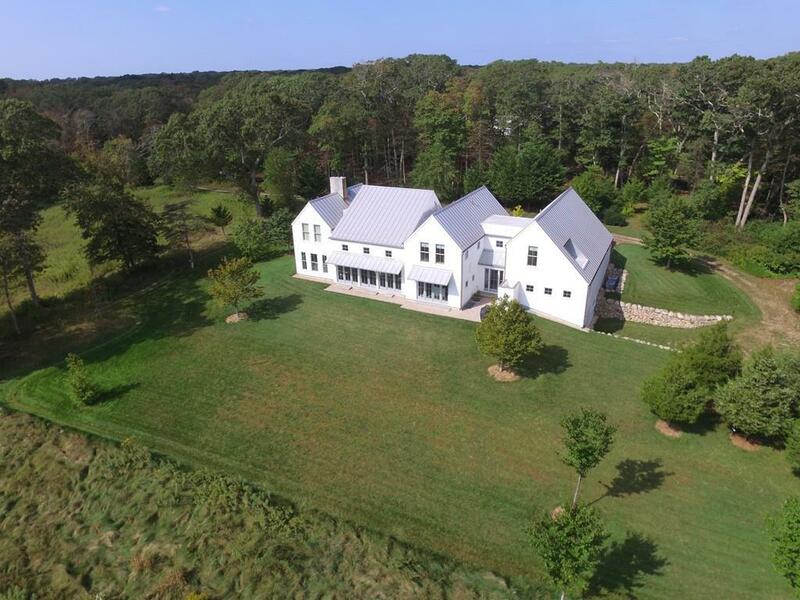 Adjacent to the kitchen is the stunning, banquet-sized dining room and the living room with its dramatic cathedral ceiling and gorgeous pastoral views. An additional fireplaced sitting room and office complete the first level. Master suite, guest bedrooms, bunk room, office are all on second level and offer comfortable accommodations for all. Multi-bay garages, amazing workshop. While breathtaking in its design,this home's layout allows for easy living... Located minutes to historic Russells Mills Village, acres of conservation land and fine, sandy beaches.